The objective of the Commercial Vehicle Enforcement Service is to reduce commercial motor vehicle accidents through the enforcement of Motor Carrier Safety Regulations; to protect the state highways from unnecessary damage by securing compliance with state laws regulating weight of commercial vehicles; to ensure equitable payment of commercial vehicle registration fees by enforcement of registration laws; to protect the rights, privileges, and safety of the general public in the use of the public highway system by securing compliance with traffic laws and regulations applicable to the operation of all vehicles. The basic mission or responsibility of the Commercial Vehicle Enforcement Service is weighing and checking commercial vehicle traffic operating over the public highways of this state so that compliance with the statutory provisions of law regulating weight, motor carrier safety, registration, transportation of persons, hazardous material and other property can be obtained. It has joint responsibility with the Highway Patrol Service to conduct Traffic and Criminal Law Enforcement primarily on rural highways. In 1927, increasing truck traffic on the meager roads of Texas became a real problem, resulting in actual and potential damage to highways and bridges and endangering the safety of the public. With the advent of trucking as a major industry, and with roads at the time generally narrow and hogbacked, the Texas Legislature found it necessary to create an organization to enforce existing regulations. The Legislature authorized the Texas Highway Department to employ 18 License and Weight inspectors and one chief inspector. After only two years, the License and Weight section was increased to 50 men and named the State Highway Patrol. Two years later, in 1931, the enforcing agency was authorized 120 men. By 1935, it was realized that the State's part in crime prevention and traffic control was inadequate and improperly organized. Accordingly, the Legislature created the Texas Department of Public Safety. In 1938, the Public Safety Commission formally created the License and Weight Service. Since 1957, the License and Weight Service has grown substantially in size from the 18 original L&W inspectors under the Texas Highway Department to its present strength of 569 - 442 commissioned officers, 115 non-commissioned vehicle inspectors, and 12 non-commissioned compliance review investigators. In September 2003, the Traffic Law Enforcement Division name was changed to the Texas Highway Patrol Division. At the same time, the License and Weight Service name was changed to Commercial Vehicle Enforcement (CVE). These changes were made to more accurately reflect the duties of its members. CVE troopers are responsible for routine law enforcement duties, and have a primary responsibility for enforcing the Motor Carrier Safety Act and other laws and regulations involving hazardous material shipments, commercial driver licensing and insurance, size, weight, and registration and operating authority of commercial vehicles. For more information on the hours-of-service rules or how to complete a log, refer to the Interstate Truck Driver's Guide to Hours of Service or the Interstate Motorcoach Driver's Guide to Hours of Service. Explanation - 11-Hour Limit: After 10 consecutive hours off duty, the driver was eligible to drive for up to 11 hours beginning at 4:00 a.m. (CP#1). The driver drove only 6 hours, within the limit. Explanation - 14-Hour Limit: After 10 consecutive hours off duty, the driver had 14 hours available beginning at 4:00 a.m. (CP#1). The driver stopped driving a commercial motor vehicle (CMV) upon reaching the 14-hour limit at 6:00 p.m., so there are no violations. Explanation - 11-Hour Limit: After 10 consecutive hours off duty, the driver was eligible to drive for up to 11 hours beginning at midnight (CP#1). The driver drove for 5 hours before obtaining 10 consecutive hours off duty (using a combination of consecutive off-duty and sleeper-berth time). This 10-hour break moves the calculation point to 3:00 p.m. (CP#2), at which point the driver had another 11 hours available. Because the driver then drove for only 9 hours, there are no violations. Explanation - 14-Hour Limit: After 10 consecutive hours off duty, the driver had 14 hours available beginning at midnight (CP#1). The driver accumulated just 5 on-duty hours before going off duty for another 10 consecutive hours. The calculation point then moves to 3:00 p.m. (CP#2), and after that point the driver accumulated 9 hours on duty, within the limits. Violations: There is a 14-hour rule violation from 9:00 p.m. - 10:00 p.m. Explanation - 11-Hour Limit: After 10 consecutive hours off duty, the driver was eligible to drive for up to 11 hours beginning at 2:00 a.m. (CP#1). The driver drove for just 1 hour. Explanation - 14-Hour Limit: After 10 consecutive hours off duty, the driver had 14 hours available beginning at 2:00 a.m. (CP#1). Because the 14-hour calculation includes all off-duty time of less than 10 consecutive hours, all of this driverÕs time between 2:00 a.m. and 10:00 p.m. is included in the calculation. The driver reached the 14-hour limit at 4:00 p.m. and violated the 14-hour rule at 9:00 p.m. by driving a CMV past the 14-hour duty limit. Violations: There is a 14-hour rule violation from 5:00 p.m. - 10:00 p.m. Explanation - 11-Hour Limit: After 10 consecutive hours off duty, the driver had 11 hours of driving time available at 2:00 a.m. (CP#1). The driver completed 11 hours of driving by 10:00 p.m. and went off duty, so there were no violations of the 11-hour rule. Violations: There is a 14-hour rule violation from 5:00 a.m. Ð 8:00 a.m. on Day 2. Explanation - 11-Hour Limit: After 10 consecutive hours off duty, the driver was eligible to drive for up to 11 hours at 5:00 a.m. on Day 1 (CP#1). Before obtaining another 10-consecutive-hour break (beginning at 9:00 a.m. on Day 2), he or she drove for only 7 hours, well within the limit. Explanation - 14-Hour Limit: After 10 consecutive hours off duty, the driver had 14 hours available at 5:00 a.m. on Day 1 (CP#1). NOTE: Although this driver had 15-1/2 hours off duty between 9:00 a.m. on Day 1 and 1:00 a.m. on Day 2, that off-duty time was interrupted by a period of 30 minutes on duty (3:00 p.m. on Day 1). Therefore, both the 6-hour sleeper-berth period and the 9-1/2 hour off-duty period are included in the 14-hour calculation (the calculation point does not change from CP#1). In addition, note that the driver can legally work after reaching the 14-hour limit, but cannot drive a commercial motor vehicle. To remain in compliance: The driver should not have gone on duty from 3:00 p.m. - 3:30 p.m. on Day 1, or should have remained off duty from 1:00 a.m. - 1:30 a.m. on Day 2, in order to get 10 consecutive hours of off-duty time. Explanation - 11-Hour Limit: After 10 consecutive hours off duty using a combination of off-duty and sleeper-berth time, the driver was eligible to drive for up to 11 hours beginning at 10:00 a.m. on Day 1 (CP#1). By 11:00 p.m., the driver had no more driving hours available, but continued to work for 3 hours. On Day 2, the driver got another 10 consecutive hours off duty, moving the calculation point to noon on Day 2 (CP#2). At CP#2, the driver had 11 hours of driving time available. The driver violated the 11-hour rule by driving one hour beyond the 11-hour limit at 11:00 p.m. Explanation - 14-Hour Limit: After 10 consecutive hours off duty, the driver had 14 hours available at 10:00 a.m. on Day 1 (CP#1). The driver reached the 14-hour limit at midnight (note that the 2-hour sleeper-berth period is included in the 14-hour calculation). Though the driver was not eligible to drive a CMV after midnight, he or she was able to continue working without violation. Then, after getting 10 consecutive hours off-duty on Day 2, the 14-hour calculation point moved to noon on Day 2 (CP#2), at which point the driver had 14 hours available again. Violations: On Day 2, there is an 11-hour rule violation from 11:00 p.m. - midnight and a 14-hour rule violation from 1:00 a.m. - 2:00 a.m. Explanation - 11-Hour Limit: After 10 consecutive hours off duty using a combination of off-duty and sleeper-berth time, the driver was eligible to drive for up to 11 hours at 10:00 a.m. on Day 1 (CP#1). By 2:00 a.m. on Day 2, the driver had driven 9 hours. By obtaining 10 consecutive hours off duty on Day 2, the 11-hour calculation point moved to noon on Day 2 (CP#2), at which point the driver had 11 hours of driving time available again. The driver violated the 11-hour rule by driving beyond the 11-hour limit at 11:00 p.m. Explanation - 14-Hour Limit: After 10 consecutive hours off duty, the driver had 14 hours available at 10:00 a.m. on Day 1 (CP#1). The driver reached the 14-hour limit at midnight (the 5-hour sleeper-berth period is included in the 14-hour calculation because it was less than 8 hours). Though the driver was not eligible to drive a CMV after midnight, he or she was able to continue working (on-duty (not driving)) without violation, which was done for 1 hour. The driver violated the 14-hour rule by driving a CMV at 1:00 a.m. Then, after 10 consecutive hours off duty, the 14-hour calculation point moved to noon on Day 2 (CP#2), at which point the driver had 14 hours available to work again. Violations: There is an 11-hour rule violation from 5:00 a.m. - 6:00 a.m. on Day 2. Explanation - 11-Hour Limit: After 10 hours off, the driver had 11 hours of driving time available at 10:00 a.m. (CP#1) on Day 1. At the end of the day, the driver had 2 hours remaining and, without a valid 10-hour break, the driver violated the 11-hour limit by driving an additional 1 hour, at 5 a.m. on Day 2. Explanation - 14-Hour Limit: Calculation of the 14-hour limit begins at 10:00 a.m. on Day 1 (CP#1). The driver used 9 of 14 hours on Day 1. Because the driver then got at least 8 consecutive hours in a sleeper berth, that rest break is not included in the 14-hour calculation. The 14-hour calculation continues into Day 2, and at 6:00 a.m. the driver has accumulated 12 hours and has not driven a CMV past the 14-hour duty limit. Violations: There is a 14-hour rule violation from 10:00 p.m. - 11:00 p.m. Explanation - 11-Hour Limit: After 10 consecutive hours off duty, the driver had 11 hours of driving time available at midnight (CP#1). The driver completed 9 hours of driving by 11:00 p.m. and went off duty, so there are no violations of the 11-hour rule. Explanation - 14-Hour Limit: After 10 consecutive hours off duty, the driver had 14 hours available at midnight (CP#1). The driver used 10 of those hours by 10:00 a.m. before entering the sleeper berth for 8 consecutive hours. NOTE: If the off-duty period from 6:00 p.m. - 7:00 p.m. had been spent in a sleeper berth, it would have been excluded from the 14-hour calculation. Remained in the sleeper berth from 6:00 p.m. - 7:00 p.m. Explanation - 11-Hour Limit: After 10 consecutive hours off duty, the driver was eligible to drive for up to 11 hours beginning at 10:00 a.m. on Day 1 (CP#1), but only drove 9 hours before entering the sleeper berth. With only 8 hours in the sleeper berth, the calculation point does not change, so the driver had 2 hours remaining to drive at 3:00 a.m. on Day 2. After reaching the 11-hour limit at 5:00 a.m. on Day 2, the driver went off duty for at least 2 consecutive hours, making him or her eligible for the sleeper-berth provision in 395.1(g)(1) - the driver accumulated at least 10 hours of rest using a combination of at least 8 consecutive hours in the sleeper berth and another off-duty break of at least 2 consecutive hours. This moves the calculation point to the end of the first of the two periods of rest, or 3:00 a.m. (CP#2). With 2 hours spent driving after 3:00 a.m., the driver had 9 remaining hours by 7:00 a.m. and used only another 8 hours. Explanation - 14-Hour Limit: After 10 consecutive hours off duty, the driver had 14 hours available at 10:00 a.m. on Day 1 (CP#1). By 7:00 p.m. on Day 1, the driver had 5 hours remaining (but only 2 hours of driving available). At 3:00 a.m. on Day 2, the driver still had 5 hours remaining, because any sleeper-berth period of at least 8 but less than 10 consecutive hours is excluded from the 14-hour calculation. By 7:00 a.m. on Day 2, the driver had taken 8 consecutive hours in a sleeper berth plus another 2 consecutive hours off duty, making him or her eligible to use the sleeper-berth provision. This moves the 14-hour calculation point to 3:00 a.m. (CP#2). Therefore, at 7:00 a.m. on Day 2, the driver had 10 hours of time remaining (14 - 2 - 2 = 10) and used 9 hours before the end of Day 2. Do these Hours of Service Regulations apply to Interstate Commerce? No. 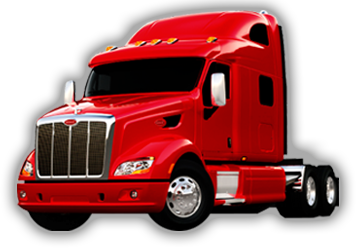 Intrastate commercial motor vehicle regulations are under the jurisdiction of each State. The HOS regulations apply directly only to interstate commerce. However, most States have adopted intrastate regulations which are identical or very similar to the Federal hours-of-service regulations. A driver involved exclusively in intrastate operations should contact the State agency handling commercial vehicle enforcement in the driver's home State with any questions. Usually this is the state police or highway patrol, although in some States, the function is handled by the department of motor vehicles, department of public safety, or public service commission. What are the penalties for violating the Hours Of Service rules? Are drivers of passenger carrying commercial motor vehicles required to comply with the same HOS rule as property-carrying drivers? What happens if a driver operates both a bus and truck for part of each day or each week? A driver will be subject to the limits on driving time applicable to the CMV the driver is driving (11 hours for a property-carrying CMV, 10 hours for a passenger CMV), and will be required to meet the off-duty requirements applicable to the type of CMV the driver will drive immediately after that off-duty period (10 hours if the next assignment is in a property-carrying CMV, 8 hours if it is in a passenger CMV). For example, if a bus driver completes 8 hours off-duty for the motorcoach company, the driver must remain off-duty for another 2 hours before driving for the trucking company. After completing 10 consecutive hours off-duty, the driver may drive for 11 hours for the trucking company. Following 8 consecutive hours off-duty, the driver may then drive for the bus company. If a State has an 8-hour off-duty requirement for intrastate operations, may a driver who takes 8 hours off- duty after completing an intrastate trip begin driving on an interstate trip? No. The driver of a property carrying vehicle must take an additional 2 consecutive hours off- duty, for a total of 10 consecutive hours, before beginning an interstate trip. How would "waiting time" at a terminal, plant, or port be logged? "Waiting time" at a terminal, plant, or port may be recorded as off-duty, sleeper berth, or on duty/not driving, depending on specific circumstances. If circumstances permit a driver to utilize a valid sleeper berth without being disturbed for a specific period of "waiting time," that time in the sleeper berth may be recorded as "sleeper berth" time. However, a driver must take eight consecutive hours in a sleeper berth, plus another two consecutive hours off duty or in a sleeper berth, in order to meet the requirement for the equivalent of 10 consecutive hours off duty. In most other circumstances, such as when the driver is required to remain with the vehicle to move it when necessary, the "waiting time" should be recorded as "on duty/not driving." These provisions should not be confused with waiting time of drivers of vehicles that are specially constructed to service oil wells. May a driver be called after 8 hours off-duty to report to work 2 hours later? Yes. The HOS rule does not control communication between the driver and the motor carrier during the driver's off-duty time, so the call may occur. However, the driver cannot be required to do any work for the motor carrier during the 10 hours of off-duty time. How does the HOS rule apply to Mexican and Canadian drivers? Are Canadian and Mexican military or other government employees exempt? Mexican and Canadian drivers operating in the United States must comply with FMCSA's HOS regulations. Although compliance with the HOS regulations is checked by looking backward in time, and activity occurring outside the U.S. may be taken into account, State and Federal officials may only impose penalties for violations that occurred in this country. For example, upon entering this country, Canadian and Mexican drivers must show a current RODS for the previous 7 consecutive days. U.S. officials cannot penalize a driver for actions that occurred abroad, but failure to have the previous 7 days of RODS while in the U.S. is a violation of 395.8(k)(2). Additionally, Mexican and Canadian drivers of property-carrying commercial motor vehicles may not drive in the U.S. unless their last off-duty period (either here or abroad) amounted to 10 consecutive hours (or an authorized sleeper-berth equivalent). If such a driver took only 8 consecutive hours off-duty in Mexico or Canada just before starting a trip into the U.S., he/she would be required to take 10 consecutive hours off-duty immediately after entering this country. Canadian and Mexican military and other government employees are NOT exempt from the HOS regulations. The general exemption in 390.3(f)(2) applies only to U.S. Federal, State, and local governments. How are property-carrying and passenger-carrying drivers determined as the terms are used in the HOS rule? It is easiest to determine passenger-carrying, with any other CMV drivers to be considered property-carrying. The definition of a CMV in 390.5 should be used to determine passenger- carrying. If a driver is operating a CMV "designed or used to transport more than 8 passengers (including the driver) for compensation; or designed or used to transport more than 15 passengers, including the driver, and is not used to transport passengers for compensation," the driver would be considered to be passenger-carrying regardless of whether there were actually any passengers on the vehicle. This would include, for example, new buses being delivered (driven) from manufacturer to dealer. What is a "short-haul" operation? The HOS regulations do not specifically define or use the term "short haul" except as a caption for 395.1(e), which includes requirements for drivers using the 100 air-mile radius exception and those covered by the "non-CDL, as defined in Part 383, 150 air-mile radius" provision. The term "air-mile" is internationally defined as a "nautical mile" which is equivalent to 6,076 feet. Thus, the 100 air-miles are equivalent to 115.08 statute miles, and 150 air-miles are equivalent to 172.6 statute miles. What are the recordkeeping requirements for a driver who is utilizing either the 100 or non-CDL, as defined in Part 383, 150 air-mile radius provisions? Under both provisions, a driver may use time records in lieu of RODS. May drivers who work split shifts take advantage of the short-haul operations provisions found in Part 395.1(e)? For property-drivers, the concept of "split shifts" is no longer relevant due to the limitations of the 14-hour rule. The provisions in 395.1(e) only provide an exception to the RODS requirements. Generally, they do not exempt the driver from any requirements of the HOS rules. 100 air-mile radius driver - A driver may go on- and off-duty multiple times during a duty tour, after completing at least 10 hours off duty, but the total of all on- and off-duty time accumulates toward their 12 hours. Once a driver is on duty more than 12 hours they no longer meet the 100 air-mile radius exemption. Operators of property-carrying commercial motor vehicles not requiring a commercial driver's license - A driver may go on- and off-duty multiple times during a duty tour, but the total of all on- and off-duty time accumulates towards the 14- or 16-hour time limit, whichever is applicable at the time, until the driver has a period of 10 or more consecutive hours off-duty. Prior Regulatory Guidance ( 395.1 Question 19) on this subject no longer applies to property- carrying drivers. How does a driver comply if during a 7-day period the driver operates some days under the 100 air-mile radius exception, some days under the "non-CDL 150 air-mile radius" provision, and some days under neither? The driver complies with the provisions of the 100 air-mile radius exception or the non-CDL, as defined by Part 383, 150 air-mile radius provision if either of those are applicable for the entire duty period (usually one day). For example, if a driver operates within the 100 air-mile radius for part of the day and then travels outside the radius during the same duty period, the exception would not apply. The driver must remain under the conditions of the exception for the entire duty period. Compliance may vary from one duty period to the next, depending on operating circumstances. A driver operating under the 100 air-mile radius exception for one day and then outside the radius for the second day would only be required to make a RODS for the second day. How would you summarize the 100 air-mile radius HOS provision in 395.1(e)(1)? The driver is not covered by the "non-CDL 150 air-mile radius" provision. May a "100 air-mile radius" driver utilize the "16-hour duty period" exception in Part 395.1(o)? Yes. A driver normally operating under the 100 air-mile radius exception in 395.1(e) may also meet the requirements in 395.1(o) enabling the driver to have one period of 16 hours on-duty each week (or after a 34-hour restart). However, on the day in which the 16-hour exception is utilized, the driver would not meet the 12-hour duty-period requirement of the 100 air-mile radius exception and would therefore be required to make a RODS for that day. What drivers are covered by the Non-CDL 150 air-mile radius provision? Operators of property-carrying commercial motor vehicles not requiring a CDL, as defined in Part 383, may be covered by the Non-CDL 150 air-mile radius provision. Note that the applicability depends on the type of vehicle being driven, not whether the operator possesses a CDL. How would you summarize the Non-CDL 150 air-mile radius provision in Part 395.1(e)(2)? The 11 hours driving, minimum 10 hours off-duty, 14 consecutive hour duty period, 60/70 hours in 7/8 days, 34-hour restart all apply. On any 2 days of every 7 consecutive days, the driver may extend the 14-hour duty period to 16 hours. There is no requirement that the driver be released from duty at the end of the 14- or 16- hour duty periods . The driver may continue to perform non-driving duties, which would be counted against the 60/70 hour weekly limitation. Time records may be used in lieu of records of duty status. May a driver be on duty for more than 14 consecutive hours? Yes. A driver may remain on duty for more than 14 hours; however, the driver of a property- carrying CMV cannot drive after the 14th hour after coming on duty. Also, the additional on-duty time will be counted toward the 60/70-hour on-duty limit. If a carrier allows a driver to log mealtime or similar activities as off-duty time, does that permit a driver to extend the 14-hour duty period? No. Off-duty breaks during the day do not extend the workday to permit a driver to drive after the 14th consecutive hour on duty. However, time logged as off duty is not counted in calculating a driver's 60/70-hour on-duty limit. What is a "duty tour" as the term is used in Part 395.1(o)? The 16-hour exemption in 395.1(o) is designed for one-day "duty tours." The duty tour is the interval between the time a driver comes on-duty and is released from duty on a daily basis. This period begins and ends at the driver's normal work reporting location and may only be used following 10 or more consecutive hours off-duty, 10 or more consecutive hours in the sleeper berth, or a combination of 10 or more consecutive hours off-duty and sleeper berth time. If a driver is "on duty, not driving" during the 15th and 16th hour of his duty tour and does not drive after that, has he used the 16-hour exception in 395.1(o)? (11-, 16-, and 60/70- hour rules) were met? In this scenario, the driver may choose to use the 16-hour extension on Friday as long as the driver meets all of the requirements for the 16-hour exception outlined in Part 395.1(o) and also remains in compliance with Part 395.3(a)(1) and Part 395.3(b). Although the 16 hours on-duty on Wednesday will count toward the driver's 60/70 calculations, the driver has not utilized the 16-hour exception unless the driver has actually driven after the 14 th hour. May a driver having more than one work reporting location use the 395.1(o), 16-hour exception? As stated in 395.1(o) and current 395.1 Interpretation Question 15, a driver having more than one work reporting location could use the 395.1(o) 16-hour exception; however, its availability would be limited by the requirement of 395.1(o)(1) that the "carrier released the driver from duty at that location for the previous five duty tours the driver has worked..." A driver alternating between two normal work locations on a weekly basis would not be able to utilize the exception unless he worked six days per week, and then the exception could only be used on the sixth day. May a driver utilize the adverse driving rule, which extends the driving time by two additional hours, in conjunction with the 16-hour exception? No. A driver may not use the exception for adverse driving conditions while also using the 16- hour exception for property-carrying drivers. Section 395.1(b)(1)(ii) of the adverse driving conditions exception specifically states that a property-carrying driver may not drive or be permitted to drive after he/she has been on-duty after the end of the 14 th hour after coming on-duty following 10 consecutive hours off-duty. When the "16 hour exception" is used, may sleeper berth periods or extended off-duty periods be included in the "duty tour?" How does this affect team drivers? The 395.1(o) exception for property-carrying drivers is for drivers who return to the normal work reporting location and are released from duty at the end of each of the previous 5 duty tours. The use of 10 consecutive hours off duty or the equivalent (sleeper berth, off duty, or any allowable combination thereof) before returning to the work reporting location would interrupt the duty tour, and the driver would not be eligible to use the 16-hour exception that day or again until after 5 or more duty tours when the driver did return to the work reporting location. Does any period of 34 consecutive hours off-duty automatically restart the calculation of the 60/70-hour on- duty period? Yes. Any period of 34 consecutive hours off-duty will restart the 60/70 hour calculation. If a driver works at another job, unrelated to trucking, during his 34-hour off-duty restart period, and then begins a duty shift for the trucking company, does the 34-hour restart provision apply? No. Performing compensated work for a person not a motor carrier is considered on-duty time, which would interrupt the 34-hour period. If a driver is on-call, but has not been called for 34 hours, may those 34 hours be counted as a 34-hour restart? Yes, provided the carrier has not required the driver to report for work until after the 34-hour period has ended. If a driver takes the 34-hour restart in Canada or Mexico just before entering the U.S., will it be recognized as such in the U.S.? Yes. Duty status changes and periods occurring in Canada or Mexico before entering the U.S. are included in HOS calculations while in the U.S.
How should the "recap" section of the RODS page be completed when using a 34-hour restart to begin a new 60/70 hour period? The RODS pages printed by most commercial firms include a "recap" on each page for drivers to calculate compliance with the 60/70 hour limits and show "time remaining" within those limits. This "recap," however, is not required or addressed by the FMCSRs. Therefore, the "recap" may be completed in any manner desired. May a driver spend part of his or her 34-hours of consecutive off-duty time in a sleeper berth? Yes, provided the 34-hour period is consecutive and not broken by on-duty or driving activities. If a team driver goes directly from 10 consecutive hours off-duty to the sleeper berth at the start of his duty period, can the sleeper-berth period be excluded from calculation of the 14-hour limit? Yes. It would be a "...combination of consecutive sleeper-berth and off-duty time amounting to at least 10 hours" per 395.1(g)(1). The driver would not be permitted to perform any duties, such as pre-trip inspections, prior to using the sleeper berth. How does a driver who is utilizing the sleeper berth provision calculate his or her compliance with the 14-hour rule? A sleeper-berth period of at least 8 consecutive hours is excluded from calculation of the 14- hour limitation. All other sleeper berth periods are included in the 14-hour calculation (unless part of a sleeper-berth/off-duty combination of 10 or more consecutive hours). Are drivers of vehicles that are specially constructed to service oil wells required to log waiting time as on-duty time under the new rule? No. The new rule retains the current exception in 395.1(d)(2), which provides that drivers of vehicles that are specially constructed to service oil wells are not required to log time waiting at a natural gas or oil well site as "on-duty not driving" time. This specific group of drivers is allowed to extend, by the amount of their waiting time, the 14-hour period after coming on-duty during which driving is allowed. Is off-duty time at a yard for oil-field equipment excluded from the 14-hour calculation? No. Off-duty time at a yard for oil-field equipment is counted toward the calculation of the 14- hour rule. Only waiting time at a natural gas or oil well site may be excluded from on-duty time. May "oilfield" drivers take advantage of the 16-hour exception provided for property-carrying drivers under 395.1(o)? No. The exception in 395.1(o) is only available to drivers who otherwise strictly observe the 14-hour limit. Since 395.1(d)(2) allows drivers of commercial motor vehicles specially constructed to service oil wells to exclude waiting time at a natural gas or oil well site from on- duty time, these drivers do not strictly observe the 14-hour limit on a daily basis. An oilfield driver may choose to use the exception provided in either 395.1(d)(2) or 395.1(o), but not both. Mechanics are often dispatched with oilfield service crews. Some of the mechanic's service vehicles meet the definition of a CMV. Can these mechanics use the oilfield operations exceptions found in 395.1(d)? Based on the language of 395.1(d)(1), dedicated oilfield mechanics operating CMVs are able to take advantage of the 24-hour restart provision since they a re servicing the vehicles/equipment associated with field operations. However, the mechanics may not take advantage of the provisions of 395.1(d)(2) to exclude waiting time at a natural gas or oil well site from on-duty time because the vehicle being operated is not specially constructed to service oil wells.